Starring: Zach Braff, Isabelle Blais, Patrick Labbé, Julian Lo, Aimee Lee. I saw The High Cost of Living over the weekend as part of the “Canada’s Top Ten” series. The film stars Zach Braff as Henry Welles, an ex-pat American drug dealer living in Montreal. The High Cost of Living begins with an episode from Henry’s routine of lurking in dark alleys and seedy nightclubs, while placating frantic junkies and erratically driving around Montreal to meet the needs of his clients. The opening features a parallel sequence that introduces Nathalie, played by Isabelle Blais, a native Quebecois who is extremely pregnant. That night, Nathalie experiences sharp pains and, in a moment of disorienting hysteria, she winds up in the middle of the road while searching for a ride to the hospital. At that fateful second, of course, the lives of Henry and Nathalie collide. When Nathalie awakens in a hospital room, she discovers that she is the victim of a hit-and-run. Although Nathalie suffers only a mild concussion, she is devastated to hear from her doctor that her baby did not survive the accident. Even worse, the doctor refuses to remove the stillborn child from Nathalie’s body until she is psychologically fit, and Nathalie leaves the hospital with a constant physical reminder of her loss. Her husband, Michel (Patrick Labbé) seems completely disaffected by the tragedy and acts as if nothing happened. Nathalie thus survives the trauma alone and in a state of hopeless melancholy. She might as well have perished, too. Through the narratives of both Henry and Nathalie, writer/director Deborah Chow offers an insightful and uncontrived account of guilt and grief. Naturally, the overbearing remorse in which Henry finds himself after abandoning a pregnant woman in the middle of the road leads him to seek Nathalie out and atone for his sin. 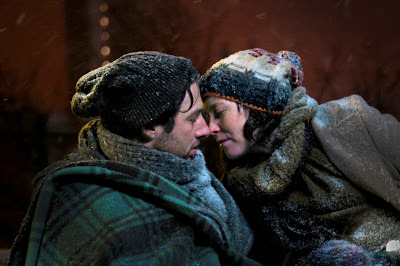 The second intersection of Henry and Nathalie complicates his shame even further: Henry comes to Nathalie’s aid and he subsequently becomes the caregiver for her depression. Nathalie, while bewildered by and grateful for his generosity, has no idea that Henry is also her assailant. To trouble the situation even more, Henry and Nathalie eventually fall in love. Chow handles the emotional complexity of the scenario remarkably well. For a film that exploits coincidences and sentiments, The High Cost of Living feels natural and refreshing. In addition to the clever dialogue and smart pacing of the film, Chow constructs two rich central characters, which Braff and Blais inhabit remarkably. 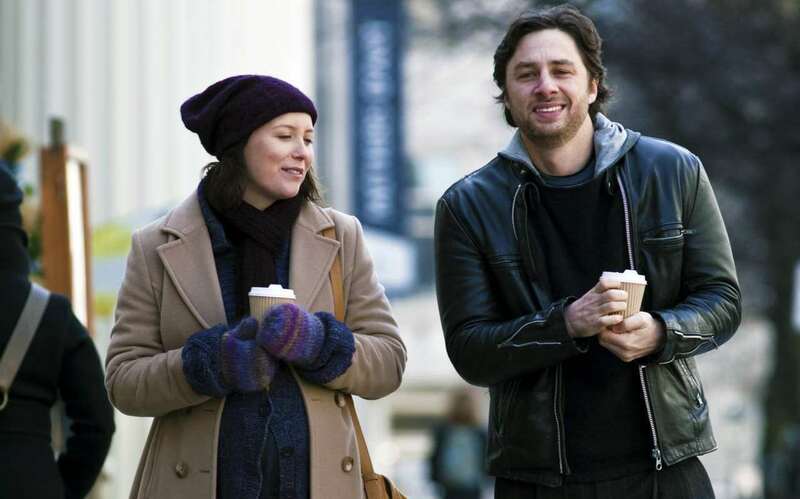 Braff’s Henry is an affable modern-day anti-hero. Blais is especially good as Nathalie, and she offers an emotionally fraught performance that transfers her character’s sorrow into the viewer with great skill. In addition to eliciting two strong leads, one must also commend Chow on her delivery of a Canada rarely captured on film. The dialogue of The High Cost of Living alternates between both English and French. While previous international films, such as Babel or Ajami, have featured multilingual soundtracks, few, if any, Canadian films have successfully executed the bilingual nature of Canada and particularly Quebec. Chow, moreover, situates her film in Montreal’s Chinatown and thus affords a perspective on the city that is rarely seen in Canadian film. Needless to say, The High Cost of Living marks an impressive feature debut for Deborah Chow and it anticipates a career of refreshing and offbeat films from a genuine talent. The High Cost of Living is currently playing at the Empire 7 in Ottawa.